Is this £50 PC processor a canny bargain or a false economy? Adequate in isolation, this dual-core chip looks poor value next to cheaper quad-core models. Is £50 enough to buy adequate PC processor performance? One way to find out is to take a punt on the AMD Athlon II X2 250. On paper, it looks promising enough thanks to specifications that would have qualified as high end just a few years ago. For starters, you get two processor cores benefiting from AMD's latest architectural refinements. OK, the main details date back to 2003 and the original Athlon 64 processor. But with features like an integrated memory controller and the high speed HyperTransport interconnect, it's still thoroughly up to date. Even the clockspeed is healthy enough at 3GHz on the nose. Of course, at this price point something has to give. 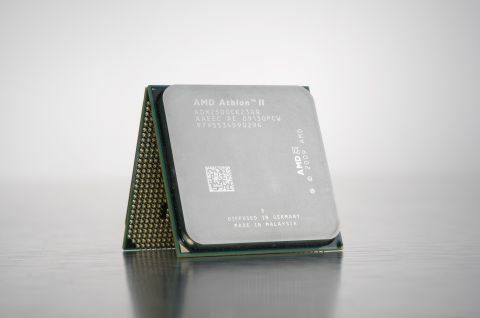 Compared to AMD's more expensive dual-core chips, such as the Phenom II X2 550,that something is cache memory. The Athlon II X2 250 only has 1MB of L2 cache per core. There's no shared L3 memory at all.